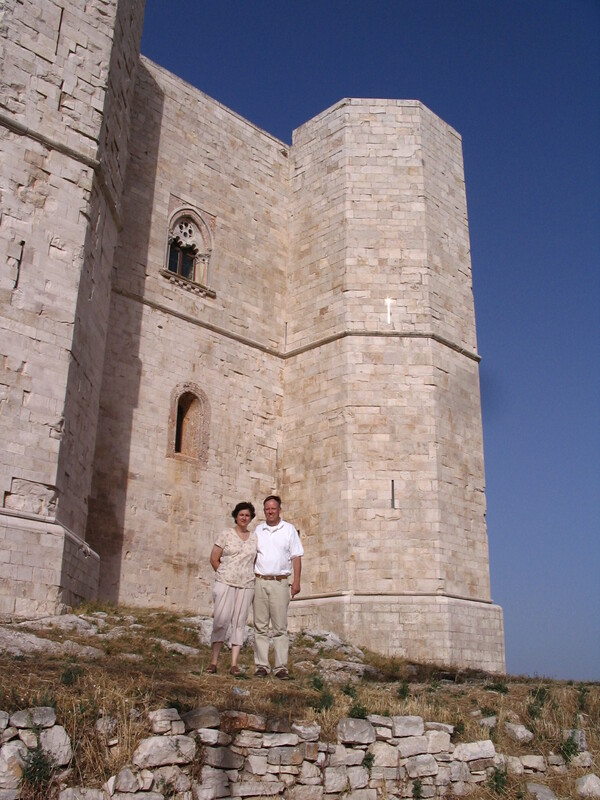 Puglia Connection visits Castel del Monte. Puglia is fortunate to be the home of three UNESCO World Heritage Sites ‒ the trulli of Alberobello, Castel del Monte in Andria (see photo) and the Sanctuary of Saint Michael the Archangel in Monte Sant’Angelo. A historic agreement signed yesterday in Bari assures that these priceless sites will be further protected and promoted to travelers worldwide as the “new vectors of cultural tourism in the Region of Puglia,” according to PugliaPromozione, the regional directorate of cultural and landscape heritage. The ceremony was part of a two-day celebration of Puglia’s World Heritage Sites and conference programs about the region’s place in world history. Yesterday’s agreement was signed by PugliaPromozione and officials representing the municipalities of Alberobello, Andria and Monte Sant’Angelo, cities that are part of what the regional government hopes will become a regionwide network of locations promoted in new marketing strategies. The accord was announced by PugliaPromozione and reported in La Gazzetta del Mezzogiorno. The event coincides with the second anniversary of the inclusion of the Sanctuary of Saint Michael the Archangel in list of UNESCO’s list of protected sites. Other events include the a conference titled “Monte Sant’Angelo and UNESCO: Cultural Heritage and European Identity Between Past and Present”; the screening of a documentary “On the Wings of the Angel from the Gargano Europe”; and a seminar titled “The UNESCO Heritage: New Vectors of Cultural Tourism in Puglia,” The event concludes tonight with “Night of the Museums,” when all museums and monuments in Monte Sant’Angelo will be open to visitors free of charge. 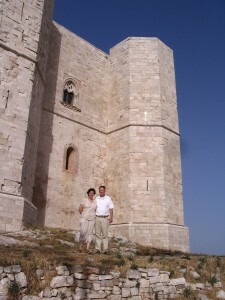 Three recent articles posted by Sud Italia News relate to Puglia’s tourism industry. The articles are positive in nature and describe how Puglia is being promoted in as an international tourism destination. A railway link between the Bari Centrale train station in Piazza Aldo Moro and Bari Karol Wojtyła Airport is ready for inauguration, Sud Italia News reports. The ride between the airport and the train station, which are about five miles apart, takes approximately 15 minutes. The fare is 5 euros. The project took 13 years to complete and cost 71 million euros. The airport also is known as Bari-Palese and Aeroporto di Palese. (ANSA) ‒ Rome, June 7 ‒ The clear blue seas and beaches of Sardinia and Puglia are among Italy’s best spots for vacations this summer, says the latest edition of a leading travel guide. The Tyrrhenian Sea around Sardinia, particularly near the city of Posada, hosts some of the best-quality tourism coupled with environmental sensitivity in Italy, says the Blue Guide, produced by the Legambiente and the Italian Touring Club. And 15 other locations that combine “good tourism and environmental quality,” in Sardinia and Puglia are also highly recommended in the 13th edition of the Blue Guide. Other resorts in Tuscany, Sicily, Basilicata, Campania and Liguria also get high marks. You are currently browsing the Puglia Connection Blog blog archives for June, 2013.